The Benson Family Singers will perform at Calvary Chapel Maricopa Jan. 18. They are a family music group from Faribault, Minnesota. 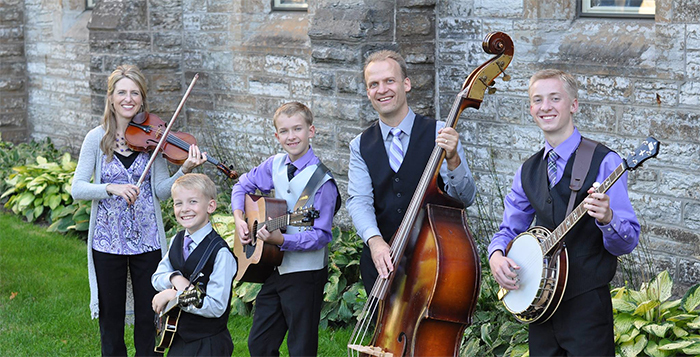 Peter and Rachelle Benson along with their four sons – David, Aaron, Luke and Paul – have a unique ministry consisting of barbershop, bluegrass and gospel music. They specialize in tight, a cappella harmonies and also play a variety of instruments, including guitar, banjo, bass, violin and mandolin. Together, they have performed for many shows, festivals, fairs, churches and private events throughout the Midwest, including Branson, Missouri. The Bensons use their music, humor and message to proclaim the gospel of Jesus Christ. For more information and to hear song samples, visit BensonFamilyMusic.com. Also find them at Facebook.com/TheBensonFamily. Their Wednesday performance is scheduled for 6:30 p.m. Calvary Chapel is at 44301 W. Maricopa-Casa Grande Highway, Suite 105.